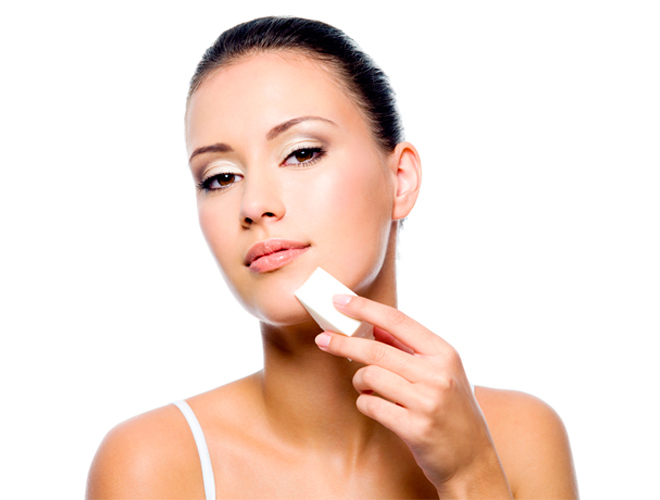 While there are many ways to apply foundation, one of the most popular ways is with a make-up sponge. With so many different sponges on the market, choosing the right one can sometimes be a daunting task. Due to the shape of these sponges, they are ideal for applying foundation to larger areas of the face such as the forehead and cheek area. As they don’t taper down into a sharp point, they make applying foundation to less accessible areas such as around your nose, a bit trickier. While these sponges are generally smaller than round / rectangular sponges, they are still suitable for applying foundation to your whole face. Thanks to their size, they allow for precise foundation application as you can target smaller areas. The domed-shaped sponge has seen an increase in popularity in the last few years and has certainly become our go-to sponge. With a broad base and tapered top, the dome-shaped sponge offers the best of both worlds, making it a handy tool to have on hand. BEAUTY TIP: If you prefer sheer foundation coverage, lightly dampen your sponge before blending in your foundation for a flawless “barely there” finish. To prevent the spread of germs, it’s important to wash your sponges regularly. I’ll try the QVS Luxurious Foundation Sponge since it’s the most affordable. My make up drawer is always stocked with triangular sponges. Definitely trying the dome-shaped sponges after reading this. Beauty blenders are my personal favourite to apply my foundation with. For a more inexpensive alternative, I recommend the beauty blenders at Dischem. They have a few different shapes and they are amazing. As a trained makeup artist, I personally hate sponges on myself but I will use it on clients for hygiene reasons. I just find that they’re quite fussy. I always do the damping technique, it just blends perfectly! I must say that the beauty blender can be used as a face sponge (when damp) it’s an all – rounder great sponge ! When I need to do a quick makeup job for someone I grab my beauty blender! And it’s R70 at clicks! I never knew about the damp sponge technique. It prevents wasting liquid foundation and prevents that “caked” look because it does not pick up as much product. I didn’t know we have many choices on the sponges. Thanks for the tip I will give it a try. I have always used the triangular sponges with my make up. I am interested in testing out the dome shaped sponges!